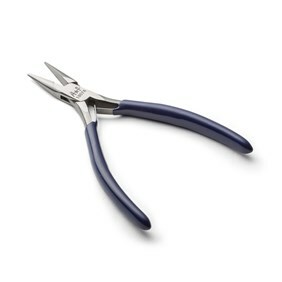 We stock a wide range of high quality pliers and wire cutters to suit all your jewellery making needs. 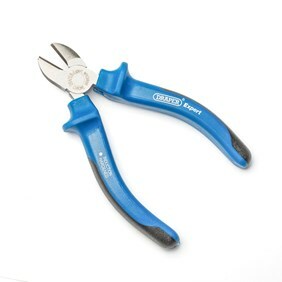 These have been carefully chosen as well as tried and tested by our expert buying team to ensure you tools that are built to last. 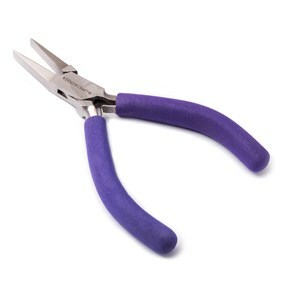 Kernowcraft offers a range of jewellery making pliers to suit your jewellery making needs. 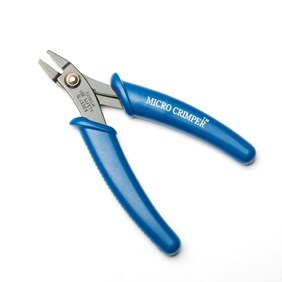 While there are essential pliers we'd recommend that you have, there are optional pliers you may wish to buy to help you neaten your designs, troubleshoot problems and make the process easier for you. 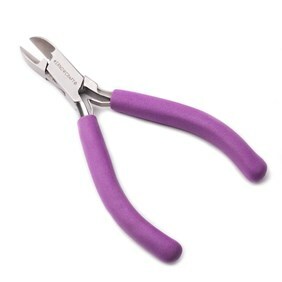 At Kernowcraft, we provide a handy pack of pliers and side cutters which contains all the essential pliers you need for jewellery making. 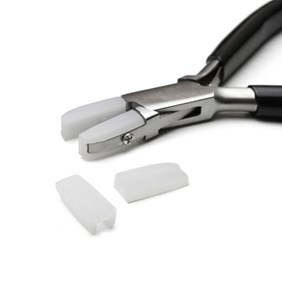 This makes it really easy for beginners to get started without the worry. 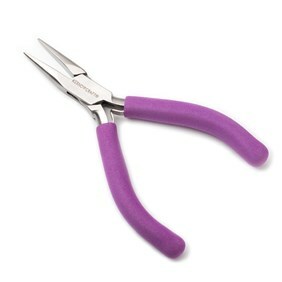 The pliers come in a handy zip up case, keeping all your pliers safe, secure and organised. 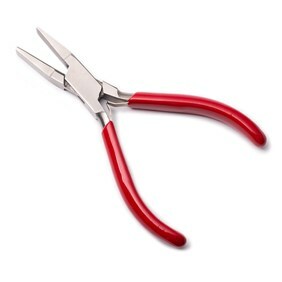 Plus this pack is cheaper than buying all the individual pliers. 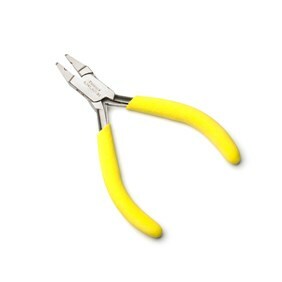 Round nose pliers, used for all kinds of jewellery making - great for bending loops and curves in metal sheet and wire. 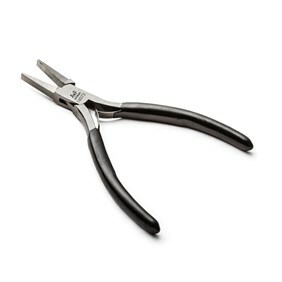 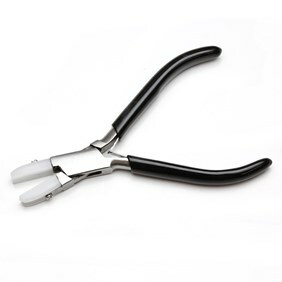 Snipe nose pliers are a great general purpose tool, used for bending metal sheet and wire. 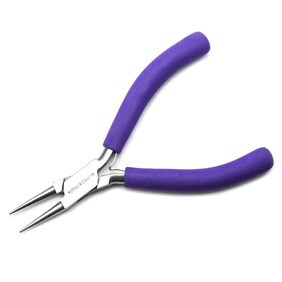 They have a tapered jaw which narrows to a fine point, great for closing crimps. 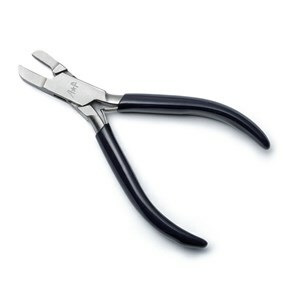 Flat nose pliers are essential for all types of jewellery making, they have a wide, flat jaw making them perfect for gripping wider surfaces, bending angles in metal and opening and closing jump rings. 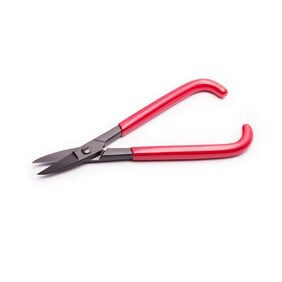 Side cutters are used to cut and trim precious metal wire, headpins, eyepins etc. Bent nose pliers are also included in this pack, used for gripping fine jewellery pieces.